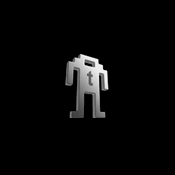 Can’t get enough of the classic arcade games up on Xbox Live? Then you probably know how miserable it can be to play most of the old school arcade games with the 360’s modern controller. 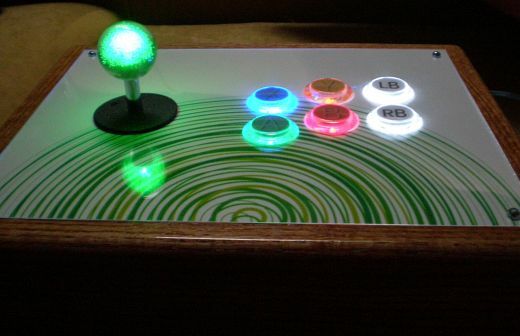 I guess that’s why this one-of-a-kind custom 360 arcade controller has me green with envy. Created by master joystick builder ShaolinDrunkard, it’s just one of several gorgeous custom arcade sticks he’s designed and constructed. 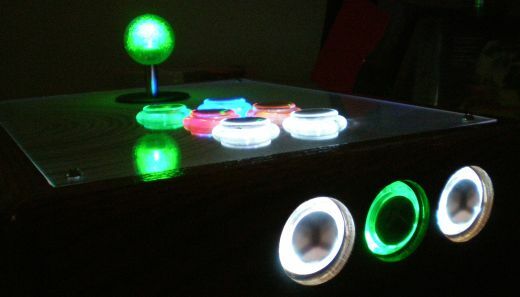 The hand built arcade controller uses serious arcade quality controls from Sanwa and Seimitsu, with dramatic LED backlighting behind each button. There’s even an awesome green glow which emanates from inside of the sparkly joystick knob.